Reggae on the River runs Aug. 1–4 at French's Camp. For full info, see www.reggaeontheriver.com. REGAL SPIRIT Anthony B is among over 50 artists performing this year. Most people call it "the house that reggae built." 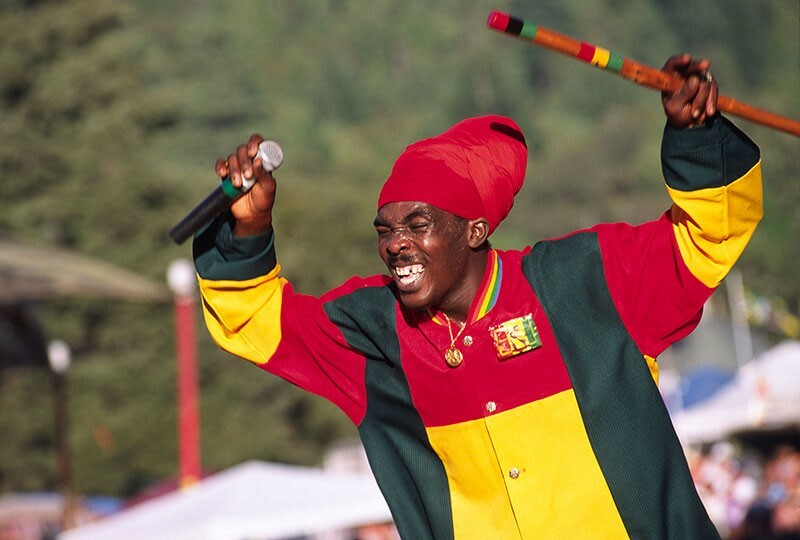 When an arsonist burned down the firehouse that housed the Mateel Community Center in 1983, the Humboldt County nonprofit created the Reggae on the River music festival to help rebuild. Since, just about every world-class reggae musician has rolled through the tiny village of Garberville, bringing the venue international prestige. Twenty-nine years later, and surviving a mess of controversy, the annual reggae festival has come full circle, returning to its original date and site at French's Camp next weekend. Justin Crellin, the Mateel Community Center's general manager, has seen the reggae festival hit enormous highs and extreme lows. Over the years, Reggae on the River garnered international publicity, and attendance numbers climbed well past 25,000 people. With so many other commitments, the Mateel handed over festival operations to the newly formed People's Productions in 2006. It seemed the perfect solution to maintain the event's integrity: hiring Mateel associates who had worked on the festival for years. "There was a perceived need to break off the production arm for Reggae on the River so we didn't lose sight of the work the Mateel was doing," says Crellin. "At the time, it made sense, but in hindsight we saw some of the negative sides that came along with taking it out of the Mateel office." The festival was successful that year, but a subsequent lawsuit alleged hundreds of thousands of dollars in missing receipts. Originally calculated to receive over $200,000, the Mateel received a fraction of the $16,000 promised by People Productions. "There was a point in the wake of the controversy and lawsuit where basically our entire crew was laid off," Crellin says. "We weren't even sure we were going to be able to keep operating." To make matters worse, the county issued the event permit to a different landowner who partnered with People Productions to host their own festival, Reggae Rising, on the date Reggae on the River historically took place. People Productions went under in 2009, but the damage was done. For a few years, the Mateel was able to hold the festival as a one-day event up the road in Benbow, but it was lackluster in comparison. After years of working to regain the community's trust, the Mateel has finally healed the wounds that divided even resident households. This year, at the original French's Camp location, Reggae on the River is finally coming home. "There have been silver linings that came with the controversy and history," says Crellin. "We are trying to bring it back to something that's manageable, that's reflective of our community, something that's safe to bring your family to and ultimately makes for a better experience."